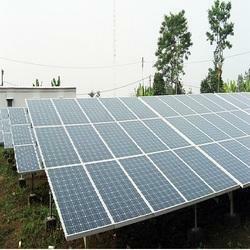 Pioneers in the industry, we offer domestic solar power plant, solar power plant, solar power system, on grid solar power plant and off grid solar power plant from India. 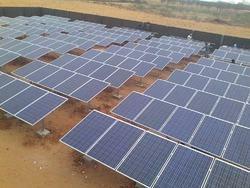 We offer best in class Domestic Solar Power Plant to our valuable customers. To maintain optimum quality of the offered solar power plants, cutting-edge tools, and rigorous quality assurance procedures are used. Owing to their high performance and minimum maintenance, the offered plants are highly demanded in the market. 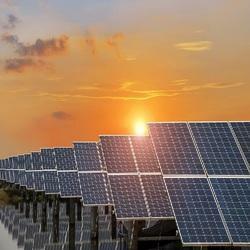 We offer high-quality Solar Power Plant to our valuable customers. These plants are known for their steady performance, low maintenance, robust design, low power consumption and longer functional life. By using rigorous quality assurance procedures and cutting-edge tools, the optimum quality of the offered plants is maintained at all times. 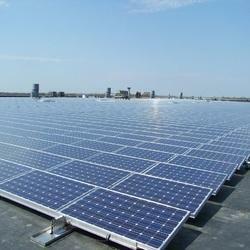 We offer wide range of Solar Power System. Solar Power Plant Off Grid is an integrated system consisting of a solar charge controller, inverter, and a Grid charger. 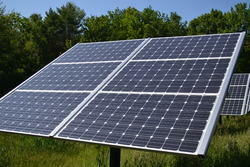 It provides the facility to charge the battery bank either through Solar or Grid/DG Set. The PCU continuously monitors the state of Battery Voltage, Solar Power output, and the loads. Due to sustained usage of power, when the Battery Voltage falls below a preset level, the PCU will automatically transfer the load to the Grid/DG power and also charge the Batteries through the in-built Grid Charger. Once the Batteries are charged to the preset level, the PCU cuts off the Grid / DG power from the system and will restore to feeding the loads from the battery bank & continue to charge the battery bank from the available Solar power.